In the late the 1980s, my mother, sister, and I lived in Japan for four years. Stationed on a military base, we received a steady stream of U.S. programming via the military broadcasting network and stateside relatives sending us VHS recordings of shows. Still, my earliest memories are of living in a place where the majority of people and media were not “like” me. Indeed, I spent a great deal of my childhood moving, always being out of place. Adding to that, growing up as a queer woman meant I rarely had mediated narratives to which I could fully relate. One Christmas in Japan, my mother bought us a Nintendo Entertainment System console and a handful of games. All three of us played it regularly for many years. At the time and, indeed, for most of my childhood, video games were something everyone did. My mother played everything from the board game simulation Othello to the vampire hunting game Castlevania. My sister and I fought over California Games, stayed up late playing Tiny Toon Adventures, and blew off the steam of adolescence on Doom. My sister still plays with her husband and daughter, though as more of a spectator now (or so she claims). Growing up, most of our friends played regardless of gender, race, or class, even though not everyone had a console in their own home. Because of all this, it never really occurred to me that gaming was something only a certain type of person did. In fact, it was only in my adult life that I heard people talking about the heterosexual, white, male gamer as the norm. That is not to say such stereotypes did not exist also during my childhood and adolescence. Ads and popular representation did often construct a “boy” player as the main game audience. There was, however, a disjuncture between the audience hailed by these constructions and the lived experience of game play with which I grew up. I am fascinated with the way the male (white and middle class) image of the digital game player has become enshrined as common sense to the extent that it has eclipsed a much more diverse picture of the medium’s history. One need only compare a 1982 feature in Electronic Games Magazine proclaiming that “women have officially arrived in the world of electronic gaming” to numerous twenty-first-century articles that announce with surprise that “nearly half of all video-gamers are women” to see that there is a disjuncture between how players are imagined and who actually plays games. The stereotype persists despite the constant reaffirmation that players exist outside the common gamer construction. There has been a shift, however, in how this “unexpected female audience” is courted via representation. In 1982 Midway spokesman Stan Jarocki described how representation was shaped in honor of an already existing market: “Pac-man was the first commercial game to involve large numbers of women as players. . . . Now we’re producing this new game, Ms. Pac-Man, as our way of thanking all those lady arcaders.” In the 1990s and early twenty-first century, most discussions of representation in games were focused on pulling those who do not play into games by way of representation. Before, it was a problem of texts not responding to the existing audience, and now, it is a problem of people needing to be convinced to try this medium. Throughout this book I question some of the easy assumptions made about which groups are particularly concerned with representation and why representation matters to audiences. There are many ways in which this book grew out of those early formative experiences. I grew up taking what I could from media and my surroundings, even when they didn’t exactly represent me. Sure, it was hard to find people exactly like me, but I could still find aspects of myself reflected somewhere in the mediated world around me. Sure, I wanted representation. At the same time, I remember cringing while watching movies and television shows that were supposedly about people “like me.” In addition, game play has always been something much more omnipresent in my life than most definitions of gamer culture reflect. I am sympathetic to the project of making game spaces more open, but I also have spent my entire life playing a medium that never marketed to me directly. I have found my place in the many spaces that were supposed to be closed off to me. For these reasons, it comes as no surprise that my research has always focused on questioning the commonsense logics of representation. I care about representation (a lot). At the start of my graduate research, I was committed to cracking open the underexamined area of representation in games. My first project was a virtual ethnography of a group of gay, lesbian, bisexual, and transgender gamers. And it turned out . . . many of them did not really care about representation. 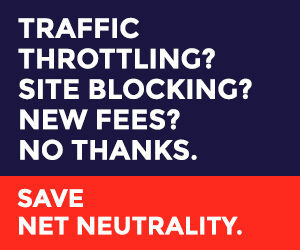 This was a shock to me at first, but the more I dug into that project, the more it made sense. Homophobia in gaming communities was much more important to these players than was textual representation because many of my interviewees played games online. 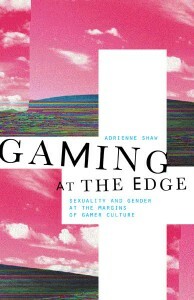 When it came to textual representation, they found and shared queer representations or queer readings as they found them, in games as well as other media. They figured that in time the industry would find a way to tap into the gay gamer niche the way other industries had. My studies of gaming in the Middle East, Finland, and India generated similar themes. Over and over again, people kept telling me that they just did not care that much about having their group, whatever that group may be, represented in games even if they cared about representation in other media. Teaching classes on minority representation in games, I heard this refrain repeated yet again by my students. Video games are a niche medium; they are fantasy environments; and they are designed for a narrow market. Of course games are not diverse—so what? I could have easily dismissed these responses as a desirability effect, cognitive dissonance, or false consciousness. But such a dismissal seemed both uninteresting and unethical. Instead, I adopted a position I had learned from feminist ethnographic media scholarship: I took my interviewees at their word. I set out to reconcile scholars’ compelling research demonstrating the importance of representation with marginalized audiences’ ambivalence about representation. What does a call for representation look like when we take both seriously? In exploring this question, I realized that I recognized myself in my participants’ responses. After all, I too grew up playing a medium for which I was not the primary market and media in which only certain aspects of my identity were ever shown. I recognized my interviewees’ ambivalence as a coping mechanism of sorts, which pushed back against discourses that sought to make them responsible for their own exclusion. If the logic goes that I need to make myself knowable as a market in order to be represented in a medium I wish to consume, it is easier to not care than it is to articulate what I want, particularly when I have never had the experience of getting what I want from representation. 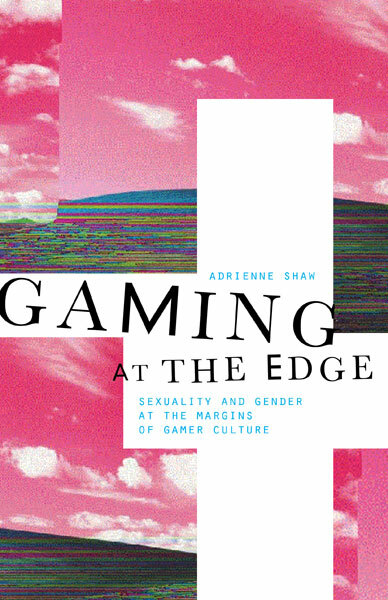 Beginning there, this book explores how media scholars, within and outside game studies, might talk about the politics of representation in new ways. How do we talk about representation in a way that can embrace intersectionality and hybrid identities? How do we demand representation without raising the specter of niche marketing? How do we talk about representation from an audience-centric position? What new things can we learn about media consumption when we start at the edges? Othello (Kawada, 1986), video game; Castlevania, (Konami, 1987), video game. California Games (Epyx, 1987), video game; Tiny Toon Adventures (Konami, 1991), video game; Doom (Sega, 1994), video game. Worley, “Women Join Arcade Revolution,” 30. Worley, “Women Join Arcade Revolution,” 32.